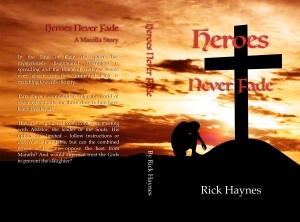 Today I introduce Rick Haynes, an English writer and author of the recently published epic fantasy novel, Heroes Never Fade. 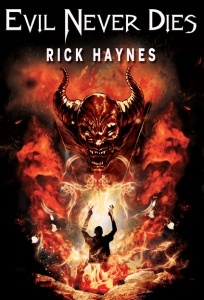 Rick has quite a few novels published, so make sure you check out his Amazon page and website, the links are below. Hi Cindy, thank you for inviting me to your excellent blog. My passion is epic fantasy and with the recent release of my second novel on the 11th of April, I’m taking a short break from writing, but then again I’m a terrible liar. I’ve put together about 2/3 chapters for the last book in the trilogy, scrapped them, and started again. Alas the result is the same so I’m looking for inspiration right now. In due course, something, a picture, a collection of words or even a chapter from an old book will switch on and I will take a ride without conditions inside my fertile brain. Give us a good one liner from your latest book. Okay –dokey here is a one liner from Heroes Never Fade. The land of Middle Earth would be number one without any doubt. J.R.R. Tolkien created a complete world together with a new language. Readers could not only embrace the truly amazing characters that leapt from every page, they could also understand the depth of their feelings. The Lord of the Rings has stood the test of time and will continue to do so for many generations to come. And that is the mark of a true genius. Do you belong to any groups that you find helpful? Yes indeed. I belong to two small local writing groups and the mighty Portsmouth Hub. The former, are, as the word local suggests, more intimate and very friendly. It’s very much a hands on experience, especially the bi-weekly challenges etc. I’ve only been writing since 2014 and there is no doubt that I would never have travelled so far without their support. The hub is part of a major group in England and thus more for listening, than doing. But when you get to meet agents, screen writers and famous authors like Andy McNab, then the monthly evening meetings are pretty special. It’s chalk and cheese nights and that’s great for me. What’s the scariest thing you have ever done, and did it end up in a story? I’m wracking my brain on this one to be honest. Looking back to the days when I played football (soccer) at county level, I remember joining a new team on the south coast. I saw my team mates being scythed down one by one, for a huge guy of 6 feet four inches tall, and built like a barn door, had decided to attack anything on two legs. Now being a cockney from London and a bit cocky for a 23 year old, I knew how to look after myself on a football pitch, and it had been drummed into me to look after my mates as well. I was only 11 stone and built like a willow in a breeze but when I saw one of my team mates hit late and go down in great pain, I went in with both feet raised and took goliath out, London style. (That’s tackling knee high and it does tend to hurt a little). Looking up at me through waves of pain the big man spoke as he winced. It was only later that my mates told me that ‘Goody’ had just been released from prison after throwing a javelin at his neighbour. Luckily I never met him on a football field again. Maybe I went in a little too hard? But, more likely, I was damn lucky. Writing a story about that event has never crossed my mind until your question prompted me. Apart from Tolkien, the late David Gemmell is a must for all readers of Epic fantasy. He is still widely regarded as the finest writer of Heroic (Epic these days) Fantasy. I am lucky that two reviewers have compared my work to his, and their comments really did make my day. I just need the exposure and perhaps more folk will like my novels, for as David Gemmell made it, why not me? I dream, because if I didn’t, how would my dreams ever come true? Definitely a magical journey would suit my very vivid imagination. I can already picture myself looking at scenes of vast lands where demons and angels, wizards and warriors, live and die in a world of endless possibilities. Back to the future or forward to the past? Who knows? Yet, would my mind be able to absorb all of the new possibilities? I’d clearly need a helper, so please contact me for your application form. The time zone would be within the world that I created, but not one technological advanced. First up would be a character from Heroes Never Fade and that means Grona, father of Tarn and grandfather to Lori, simply because he hates everyone, which initially includes his family. He loves ale, whoring and fighting, and not necessarily in that order. 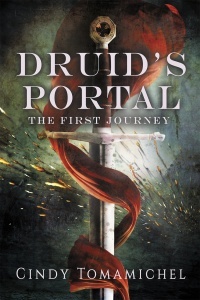 I would then choose Druss, the main protagonist in many of David Gemmell’s books. He would provide a strong opposition to Grona. They are of similar ages, and doughty warriors, but that’s about as far as similarity goes for Druss has a code of honour and Grona couldn’t give a damn. I would also invite Titian, the god of war, and his sister Jade, the goddess of peace and harmony from my books. As Titian treats humans as pawns in his game, and his sister constantly seeks to counter his actions, I can see fun and games even before the soup is served, especially as they would both have to adopt human form. I can visualise Grona and Druss arguing over who was going to kill the god of war first. Finally I would need a peacekeeper, a loyal and loving family man. The fact that Prince Wren would be called back from the dead is irrelevant for this flamboyant character in Evil Never Dies, my first epic fantasy novel, had few enemies and was loved by all. Whether he could keep the rest in check would be doubtful but his smile would light up any party and after a few drinks, who knows? The third book in my trilogy of standalone tales – I can’t abide reading a book to the last page only to find out that the end of the saga is in book 2 or even 3 – is likely to be entitled Magic Never Ends. This will continue the theme as the first two are, Evil Never Dies and Heroes Never Fade. It will once more be a standalone novel, yet, will follow on after Heroes Never Fade. I suspect the word count will be around 90k but who knows at this stage. But one thing that I do know is that some of the main characters will return. Yet, some of the minor roles, or not so minor in the last book, will feature more in the new one. The top of the list will be a mother and daughter in league with the goddess of peace and harmony, Jade. I do like my feisty ladies. I extend sincere thanks to Cindy for giving me the opportunity of answering her questions, and thus to give you more information about me, my books, and my wonderful characters. The links are shown below so please check me out. I’d love to hear from you. Thank you so much Cindy. Your wonderful blog post has made my interview sem all the better. Cheers Rick.